NASA satellite reveals a more organized Tropical Cyclone Sagar? Tropical Cyclone Sagar, formerly known as 01A, appeared more organized on satellite imagery and has strengthened since May 17. NASA-NOAA's Suomi NPP satellite captured a visible light image of the storm. On May 18 the Visible Infrared Imaging Radiometer Suite (VIIRS) instrument aboard NASA-NOAA's Suomi NPP satellite captured a true-color image of Tropical Cyclone Sagar. 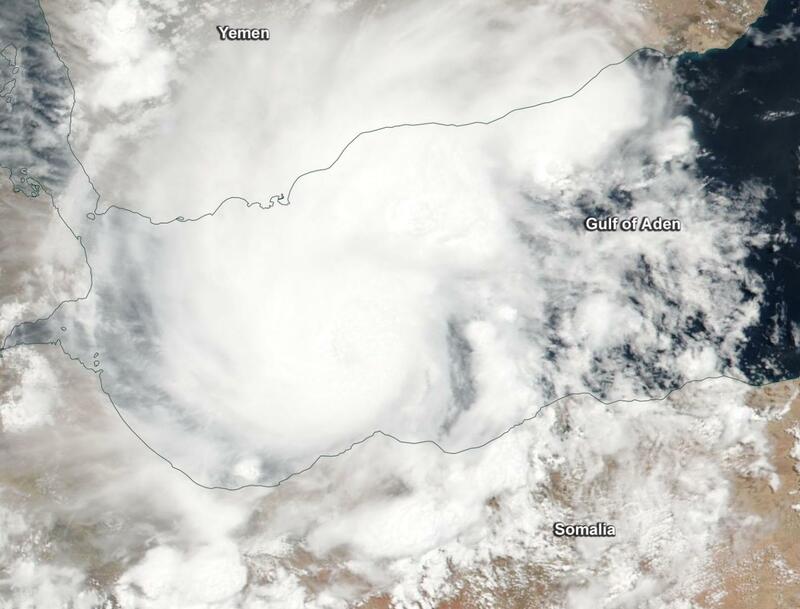 The VIIRS image showed the center of circulation in the Gulf of Aden, and the northern and southern quadrants of the storm affecting Yemen and Somalia, respectively. At 4 a.m. EDT (0900 UTC) Tropical Cyclone Sagar was centered near 11.6 degrees north latitude and 45.9 degrees east longitude, approximately 89 nautical miles southeast of Aden, Yemen. Maximum sustained winds had increased to 69 mph (50 knots/111 kph). Sagar was moving to the west-southwest at 6.9 mph (6 knots/11.1 kph). Sagar threatens Yemen, Somalia and Djibouti. The storm is creating wave heights in the Gulf up to 17 feet (5.1 meters) high. The Joint Typhoon Warning Center said that Sagar will move southwest through the Gulf of Aden. The storm is forecast to maintain current strength before making landfall in northwestern Somalia.